Save up to 14% on energy use and carbon emissions with Alfa Laval boiler technology that recovers waste heat from your main and auxiliary engines. Cut costs and limit CO2 generation. 50% of your main engine’s fuel energy goes to heat flow. Alfa Laval’s Aalborg technology maximizes waste heat recovery from all sources, benefitting your bottom line and the environment – without compromising onboard safety. 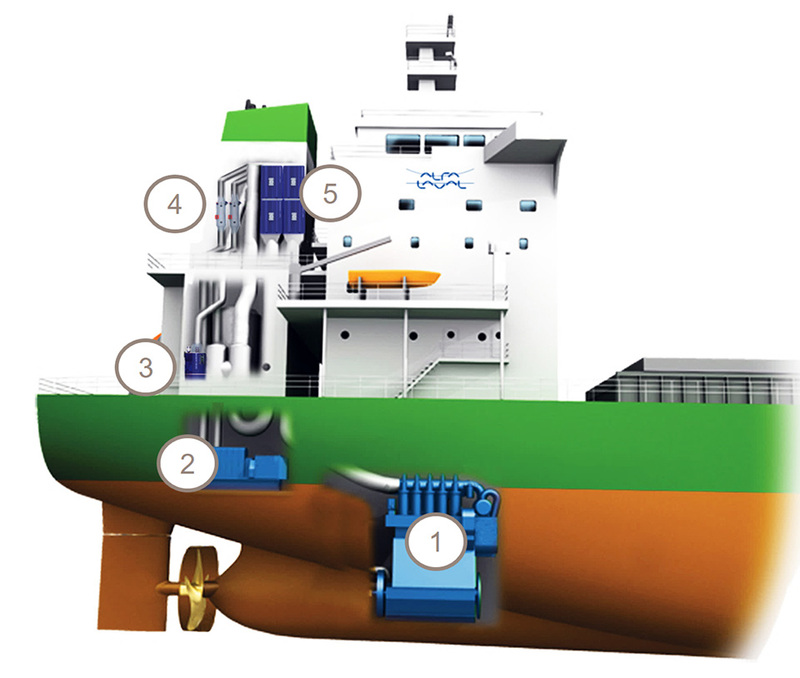 Our Aalborg waste heat recovery solutions can improve the energy efficiency of any vessel. Our extensive experience lets us design and install systems that maximize energy gains without any compromise in onboard safety. Recovering heat energy from auxillary engine exhaust, for example, can do more than meet steam needs in port. For vessels whose long-stroke main engines produce cooler exhaust, it can also provide a needed boost in steam production an route. Not limited to serving onboard equipment, today's wate heat recovery systems can even be constructed to provide a boost in propulsion.